Ties between the US and Pakistan hit a new low after the former suspended its $1.66 billion security assistance to Pakistan on Wednesday, days after President Donald Trump accused Pakistan of not doing enough against combatting terrorism, Pentagon said. “USD 1.66 billion of security assistance to Pakistan is suspended,” PTI quoted Col Rob Manning, spokesman of the Department of Defence, as saying. 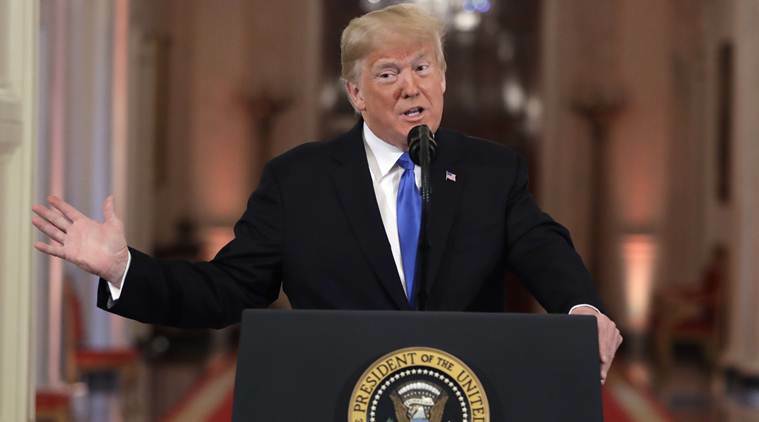 On November 19, Trump launched a frontal attack on Pakistan for not acting against the terror pads on its soil and gave the example of 9/11 mastermind al-Qaeda chief Osama Bin Laden who was hiding in Abbottabad, allegedly under the protection of its military. “Of course we should have captured Osama Bin Laden long before we did. I pointed him out in my book just BEFORE the attack on the World Trade Center. President Clinton famously missed his shot. We paid Pakistan Billions of Dollars & they never told us he was living there. Fools!” Trump wrote on his Twitter handle. Trump had also said that Pakistan was just another country which took money from the US and did nothing. “We no longer pay Pakistan the $Billions because they would take our money and do nothing for us, Bin Laden being a prime example, Afghanistan being another. They were just one of many countries that take from the United States without giving anything in return. That’s ENDING!” he tweeted. Pakistan Prime Minister Imran Khan reacted sharply to his tweets, saying that few allies have sacrificed or helped the US as much as Pakistan in its war on terror. “Instead of making Pakistan a scapegoat for their failures, the US should do a serious assessment of why, despite 1,40,000 NATO troops plus 250,000 Afghan troops & reportedly $1 trillion spent on the war in Afghanistan, the Taliban today are stronger than before,” Khan tweeted. The Pakistan PM further said the country had borne the brunt of the US’ war on terror. “No Pakistani was involved in 9/11 but Pakistan decided to participate in US war on terror. Pakistan suffered 75,000 casualties in this war and over $123 bn was lost to the economy,” he said. The tension between the two nations started in August last year when Trump, while announcing his Afghanistan and South Asia policy, lashed out at Pakistan for providing safe havens to “agents of chaos” that kill American forces in Afghanistan and warned that it has “much to lose” by harbouring terrorists. In September, the US said it would cancel $300 million in military aid to Pakistan over its inaction to crackdown against terrorists and militants. This is in addition to another $500 million in aid that was withdrawn earlier this year at the behest of the US Congress.